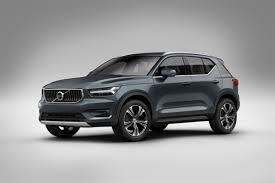 Volvo India will offer its smallest SUV, a car which debuted globally just seven months ago, on July 4, 2018. The Volvo XC40 will be offered in a single R-Design trim. The compact SUV will be coming in through the CBU route and India will be allocated around 200 units initially. Volvo India expects these 200 units to be sold even before the launch event. The target customer are those young CEOs. 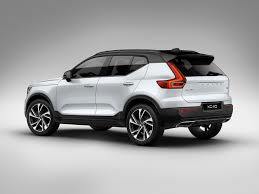 Eventually, Volvo will build the XC40 at its South Indian facility from where it currently assembles the XC90 diesel. While the expected price right now is around Rs 40 lakh, the local assembly at a later stage might bring down the price by a couple of lakhs. Volvo uses its latest Common Modular Architecture for the XC40. This lightweight platform is expected to give the XC40 SUV some serious performance. Speaking of which, Volvo will offer the XC40 SUV with only one engine option at launch – the 2.0-litre 190PS/400Nm diesel mated to an 8-speed automatic transmission. Power is transmitted to all four wheel by a Haldex clutch. This is a Volvo and it is but expected that it is build in such a way that the Pentagon will be put to shame. 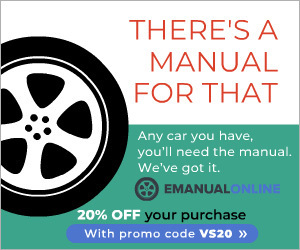 There are a host of safety aids to ensure that you don’t stray off the intended line and even if you do manage to overpower them, it will see to it that the damage to you is minimal. Multiple airbags including one for the pedestrian who may land on the bonnet in case of a crash too have been added. 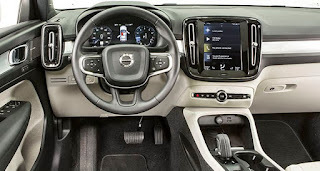 The cabin of the new Volvo comes with most of the trappings you have seen with the Swedish manufacturer’s higher end offerings. The 9-inch Sensus infotainment system is complete with Apple CarPlay as well as Android Auto. There are also multiple menu options available through this system. Volvo also offers 18-inch alloys, static bending lights, a boot that can be opened just by waving your foot underneath the tail and more. Volvo cars offer a unique proposition and if one is concerned about the safety of his/her family, there is nothing that beats a Volvo.